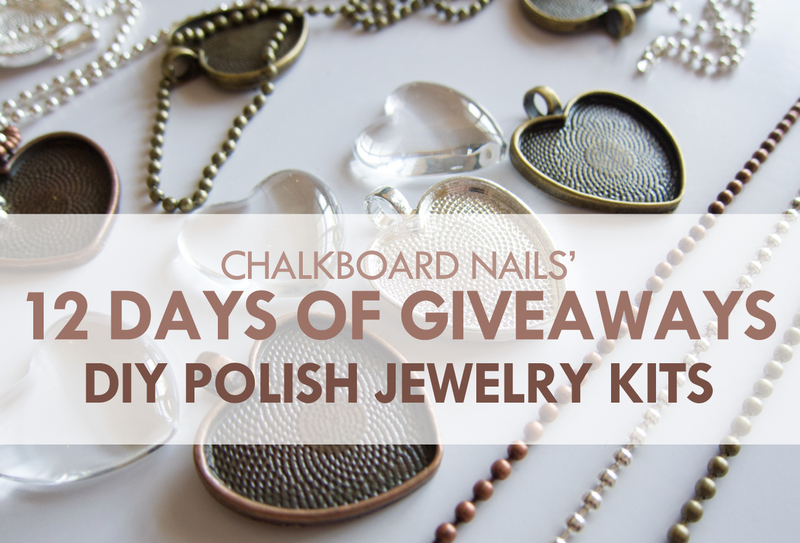 Today, three people will win a prize package of polish jewelry hardware. 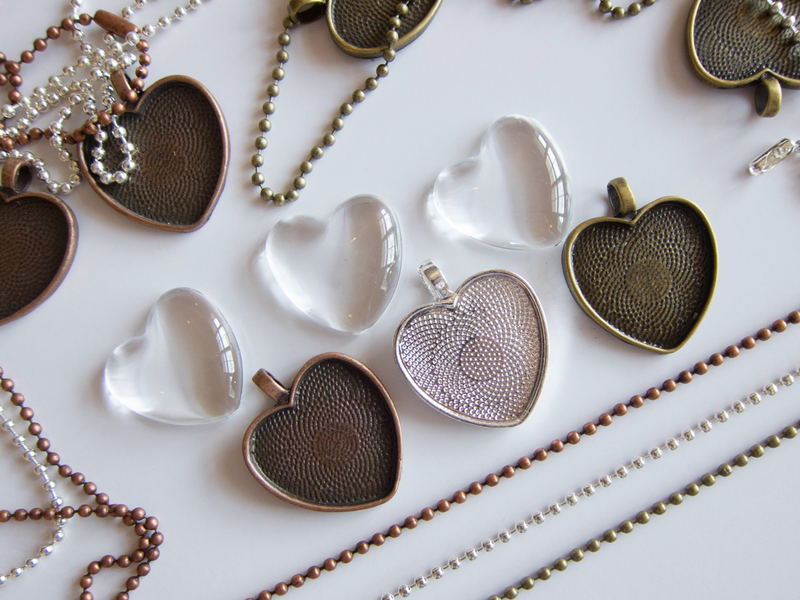 Each prize package includes the materials to make nine heart necklaces (3 antiqued copper, 3 antiqued brass, and 3 silver). Good luck! Please enter using the Rafflecopter widget below. Must be a follower of Chalkboard Nails in some capacity to win. Must be 18 years of age or older, or you must have your parent's permission to enter. This giveaway is open internationally, and closes on December 09, 2013. The 3 winners will have 48 hours to claim their prizes, after which new winners will be chosen as necessary. wow wonderful giveaway, i wish i could win this. Ooohh I love the prizes! Thank you! How fun! Thanks for these giveaways! Oops, my Pinterest username is actually meztlib. Ah well. Thanks for offering the chances to win some great prizes!! Such a fun prize, thanks for the giveaway! What a neat giveaway - I'm dying to try this! Woops! For "How do you follow Chalkboard Nails? ", I accidentally typed in my email instead of saying Newsletter Subscription! Where do you find these kits? I'd love to buy one for myself! I purchased these ones from CandyTiles2 on Etsy - they are also frequently found on eBay! I'm following you in this giveaway. But how do I know if I'm one of the lucky ones? 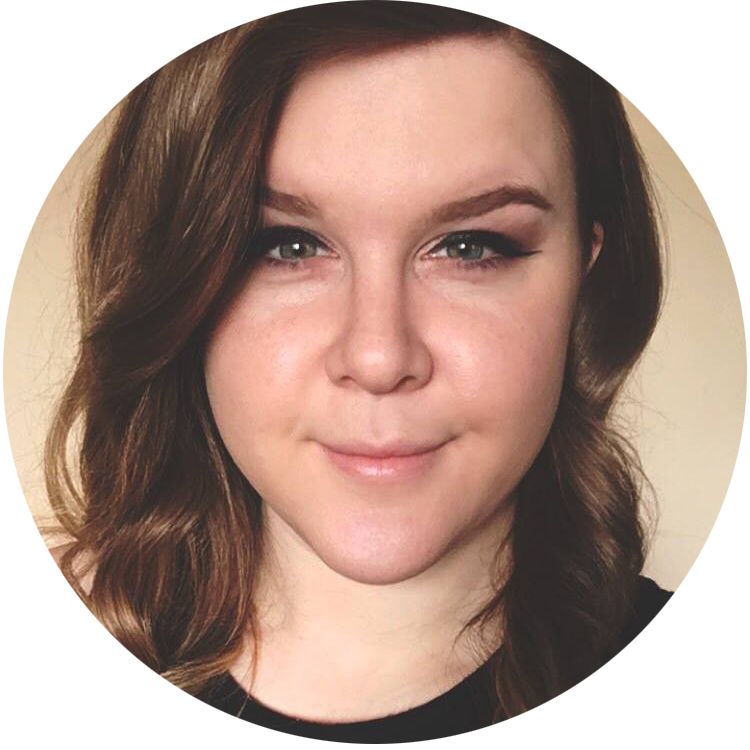 Are you emailing them or posting a blogpost? The winners are being emailed of course, and the winners will also be announced via the giveaway widgets and via my Facebook page. Oh, of course! Thank you!